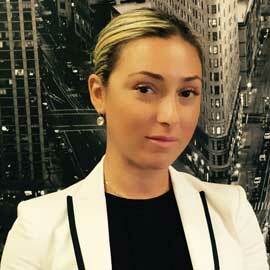 New York no-fault collections and litigation law firm representing medical providers across New York State. Law Office Of Leon Kucherovsky, ESQ. In the ever-changing current environment of no-fault, reimbursement is no longer solely about whether the services rendered were medically necessary but rather technical hurdles and a multitude of regulatory and statutory concerns that every medical practitioner needs to know. We have provided our clients with counsel on the proper coding to utilize, the adequacy of their reports and the forms necessary to ensure better collection rates. Your medical facility prepares the claim and submits the same to our firm. Our firm reviews each bill for proper insurance information and entered in our customized computer program. We forward it to the carrier with proof of mailing. Should they fail to quickly and fully reimburse our clients; immediately initiating collection efforts by any actions necessary, including litigation and arbitration. Usually, the majority of these suits result in favorable settlements for our providers. 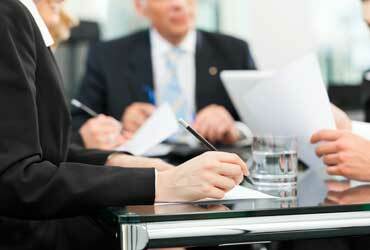 Our experienced lawyers and paralegals ensure that you receive the best possible result. Our reputation as aggressive and knowledgeable trial attorneys helps obtain favorable verdicts at trial. Our office can review and evaluate practices and billing procedures to help identify any errors in process that may be occurring. Throughout our years of practice, our experienced staff is trained and aware of issues that may harm your collections. 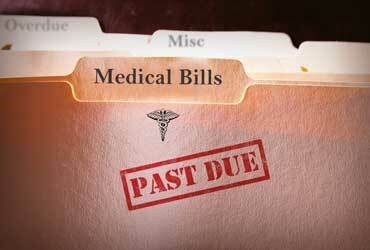 Medical facilities and especially billing practices and procedures are one of the most heavily scrutinized areas. It is important that your office has experience and knowledge behind it. Our staff is readily accessible. While many individuals will ultimately be involved in the collection of your claims, you can be assured that you will always be able to speak with someone about your account. Additionally, you will have access to an array of computerized data reports concerning your practice that will help you analyze successful as well as problem areas of your practice. As our client, you are also, via secured connections, able to access the status of claims. If you or a loved one were injured through no fault of your own, you’re likely facing hospitalization, continued medical treatment and physical therapy, lost wages and possibly even permanent disability depending on the circumstances of your injury. Being injured in an accident can be a life changing experience. It happens suddenly and often when you and your family is not prepared for the aftermath, which can be devastating. You may be faced with loss of hospital and medical expenses, lost wages, emotional trauma, loss of companionship and much worse. At a difficult time like this, it is important that you receive the care, compassion and support of the right legal team. Our office is available and ready to help you. 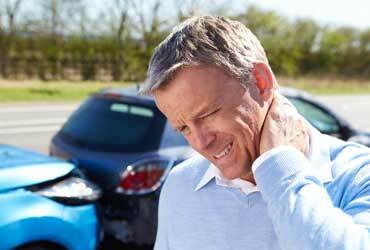 When we consult with you, we begin investigating how the injury may have occurred and who may be at fault. We will inform you of your rights and what legal options you have available to you to pursue compensation to cover hospital and medical expenses, lost wages and emotional pain and suffering. Our attorneys are committed to fight tooth and nail for you, utilizing any advantage at our disposal, to maximize the monetary compensation our clients receive. Whether you need to initiate litigation to enforce your legal rights, need to defend yourself in a litigation, or seek advice to anticipate and avoid potential legal issues before they develop into litigation, we can help you. We advise and represent our clients in a wide variety of business and commercial litigation matters, including, business disputes, corporate or partnership disputes, business law and appeals. Our office will perform an extensive early case analysis to identify the case’s strengths and weaknesses and determine the most effective means of achieving a favorable resolution, including if litigation can or should be avoided or settlement is advisable. We understand our clients’ businesses, and know how to prioritize litigation within the overall scope of their business operations. Our office is also available to advise you with respect to your most complex and challenging legal matters to help you to avoid potential litigation. We will work closely with you to gain a full understanding of your business and your legal issues, and in full consultation with you, will devise and implement a course of action specifically tailored to your stated goals and consistent with your financial means. You can rest assured that you will always be fully informed of the direction and progress of your matter, and that your matter will be handled by an experienced attorney who is fully committed to your success. 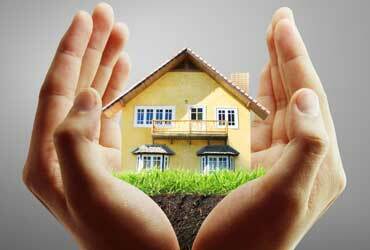 Housing is one of the necessities of life and is typically the largest expense in most peoples’ lives. Disputes between landlords and tenants can easily become contested. Disagreements over the terms of a lease and the rights and responsibilities of both landlord and tenant can often be resolved quickly and amicably. 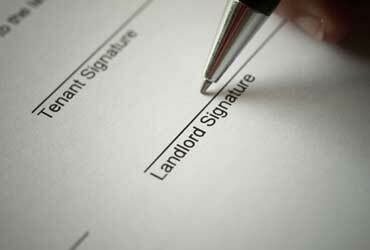 However, they sometimes require the intervention of a landlord tenant attorney. The process of eviction is not as simple as the landlord deciding to terminate the lease and throw the tenant out of the premises. Likewise, when landlords and tenants become involved in legal disputes, many people have a tendency to side with the “little guy” or the “underdog.” The results is that the rights of the landlord may often be unduly trampled, leaving him or her deprived of fair payment or making it difficult to turn a profit. We help our landlord clients resolve their issues quickly and effectively and also can assist with non-payment evictions as well as holdover cases and can represent either the landlord or the tenant. As a either a tenant or a landlord. Your rights include those that are described in the language of your lease, as well as those provided for by City and State Law. An attorney from our firm can help you understand your rights and work to help you to resolve the issues you may have. Our office represents buyers and sellers in their real estate transactions of homes, cooperative apartments, condominiums, and townhouses. Treating each client with the same level of attention and urgency while meeting the client’s individual needs based on their extensive experience is the hallmark of our attorneys. The nuts and bolts of a real estate transaction are critical therefore, our office is committed to a comprehensive review of each transaction so that your rights are protected, even after the transaction closes. However, we understand that buying or selling a piece of real property is your ultimate goal and, as your attorneys, we develop strategies to help get you there. Our office is committed to creating modern solutions for clients in the area of Health Law by consulting our clients especially in relation to medical providers who bill no fault insurance carriers. We provide compliance consulting including HIPAA and New York Public Health Law, operational consulting, up to the minute regulatory change and analysis and attending examinations under oath (EUO) demanded by insurance carriers, with our clients. With our extensive industry expertise, our office is uniquely positioned to assist health care providers and health care businesses with the seminal changes occurring in the health industry. Our smaller size and streamlined administration allows us to keep our fees affordable, while we provide high quality legal services with personalized attention to detail. Our fees are generally substantially lower than larger firms that provide comparable client services. Our attorneys have a practical understanding of the operational and financial aspects of health care businesses and professional practices. If you medical bills that have piled up, our office can sort them out for you, verify whether they have been correctly processed and reimbursed by carriers or appeal them if they have been denied. We handle medical, dental, vision, flexible spending and health savings account claims. If your insurance pays via electronic funds transfers, we automate your reimbursements. If your insurance company requires more information, we follow up with your provider/s to get that information to facilitate payment of claims. Medical insurance exists for the purpose of providing financial support for preventive medical care in the case of illness or injury. However, medical insurance can be complicated and confusing. Simple coding or processing errors are common and can result in improper denials or underpayments. These “unpaid bills” become significant debts and collection matters and ultimately, major hit to your credit profile. Our office can help you sort through this maze by reviewing your bills and denials while dealing with collectors. 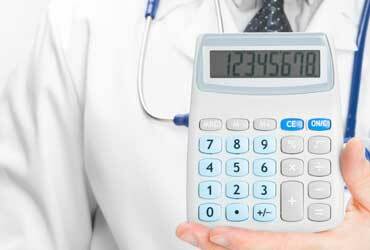 We will analyze and attempt to resolve medical bills, medical lien claims, medical insurance pre-authorizations, denied insurance claims, medical letters of appeal, understanding explanation of benefits and more. Contact our office to discuss your options. 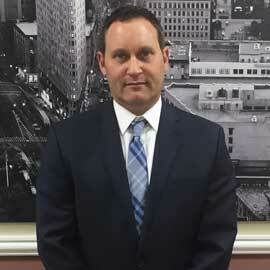 Leon Kucherovsky, ESQ is a certified Claims Assistance Professional. You can find out more about Alliance of Claims Assistance Professionals by visiting their website www.claims.org. 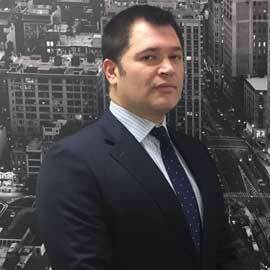 Our office also handles commercial debt collection litigation and the enforcement of creditors’ rights. We are experienced, aggressive, resourceful, and persistent. Debt collection clients may include but are not limited to large and small corporations; banks and other lenders such as; law firms, accountants, real estate brokers, contractors, consultants, landlords and condominiums, and other professionals. Debt collection cases commonly involve but are not limited to matters including loans, guaranties, letters of credit, promissory notes, extensions of credit, debts for goods sold and delivered, attorneys’ fees, fees owed to accountants and other professionals, consulting fees, rent arrears, unpaid condominium common charges, suits seeking recoveries based on unjust enrichment, such as claims based on quantum meruit (fair value for worked performed or goods supplied in the absence of a formal contract), and a wide array of contract-related litigation. For more information, please contact our office to schedule an appointment or for a review of your case. Our staff is readily accessible. While many individuals will ultimately be involved in the collection of your claims, you can be assured that you will always be able to speak with someone about your account. Our policy is to push cases to resolution in a matter of weeks and/or months and not years! 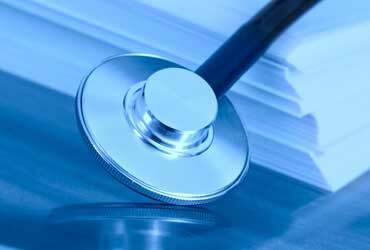 Although Our firm maintains a large medical collection practice, our expertise does not cease there. NYSPS's Mission Statement is to advance the art and science of pain medicine by promoting and maintaining the highest standards of professional practice through post graduate clinical education and research; by aiding and encouraging the education of medical students, residents, fellows, practicing physicians, and other health care providers in pain management and by obtaining and publishing scientific information in pain medicine and management.